Group shot, Dwight teaching a defense to the thrust, Students practice. 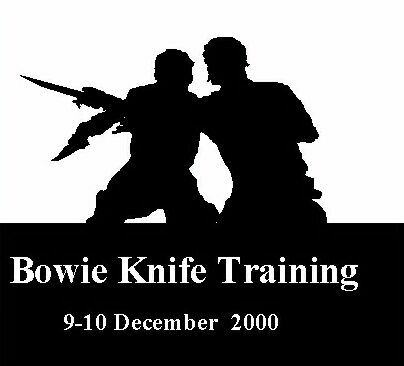 Bowie and Buckler, Double Knife sparring. A close-combat stab and thumb to the eye, demonstrating the elbow action of the mid-line backcut. Defending against the mid-line stab and high punta reversa with a backcut flow and hand trap. Passing the forehand blow with the tomahawk and passing the follow-up knife thrust. In this sequence I am assisted by Capt. Tim Sheetz, US Army, West Point.